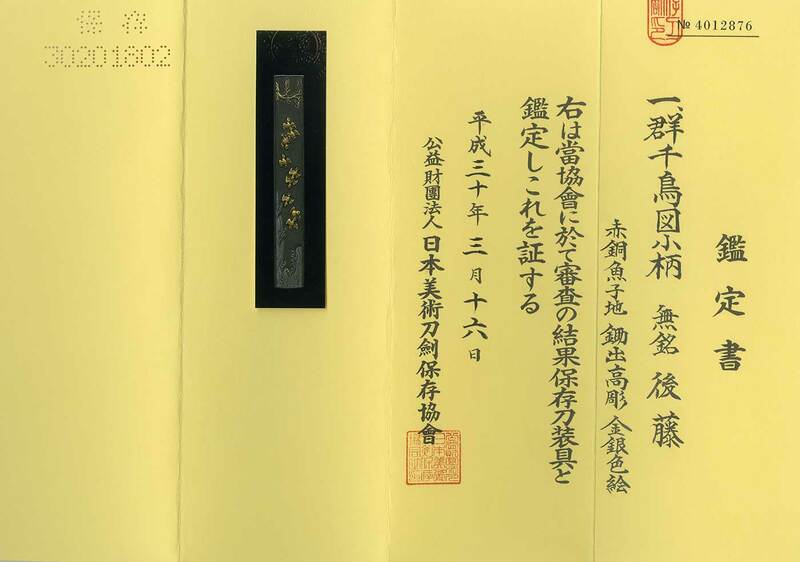 Special Feature: Shakudo Nanako, a flock of flying birds and wave are engraved with gold and silver color. The engraving is so beautiful. 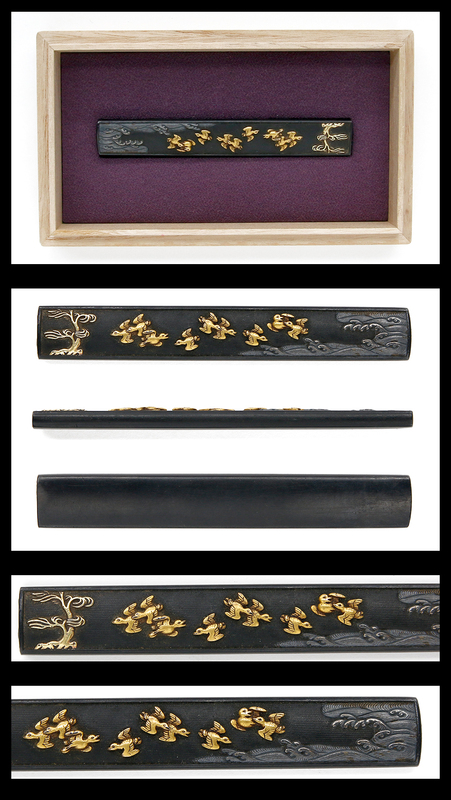 We recommend this Kozuka for you.